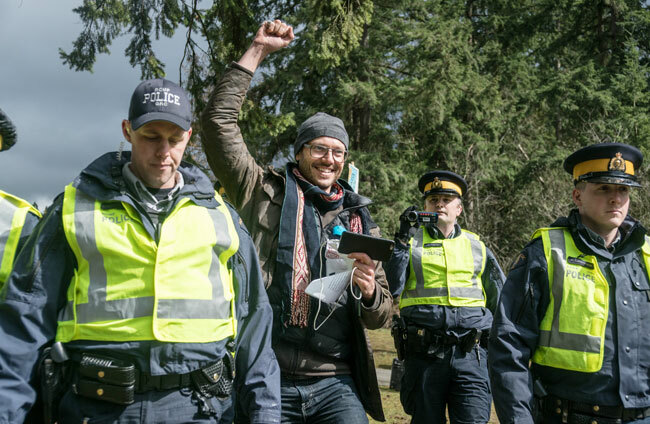 Five years ago, I set out on a mission along with my co-director Devyn Brugge: to understand the impacts of the Kinder Morgan pipeline on local communities and give a voice back to those who had been ignored by the National Energy Board process. I have interviewed residents affected by the 2007 inlet drive spill, and covered the protests on Burnaby Mountain – and journeyed to First Nations communities such as Fort Mackay, Alberta to witness the impacts of fossil fuel extraction, to New Brunswick where many of the energy workers are from, as well as to France for the Paris Climate talks. What I found was a growing storm of opposition from all walks of life and confusion over Prime Minister Trudeau’s climate plan – how to achieve it while building a major oil pipeline? Directly Affected: Pipeline Under Pressure – A feature length documentary we produced is screening at The Clutch on April 8th, The Rio Theatre April 22nd, Evergreen Theatre Powell River April 13th, Comox Tuesday April 3rd at North Island College Theatre, The Vic April 28.